What To Expect: Barber is a relatively narrow course, with sweeping elevation changes and really only one optimum passing zone (Turn 5). However, that’s not to say there’s no movement through the field. There will be some passing, and we can again expect to see various fuel strategies come into play. One of INDYCAR’s most aesthetically pleasing stops can be really entertaining if you take the time to follow the various strategies at play, but if you’re expecting some pack-racing wreck-fest, this probably isn’t your cup of tea. I've always found it one of my favorite races to watch, though I'm sure some don't share that opinion. Engine Battle, Continued: While Chevy gained the upper hand at St. Pete, Honda is at least extremely close, and either engine manufacturer could win this round. Chevy will look to continue its strong showing from teams such as Penske Racing and Andretti Autosport, while limiting the battery woes that drivers had to deal with in Round 1. Honda had a few mechanical issues of their own, and will look to get their first win of the year behind drivers such as Scott Dixon, Dario Franchitti, and Simon Pagenaud. For Lotus, the battle will be finding enough power to bring home a solid finish on a course that can demand a lot of pick-up. They’ll also look to tame some of the ECU issues they’ve been having, and hopefully show improvement in their second race. Lotus had at least one shot to finish a car in the Top 10 at St. Pete; if they can manage it at Barber, it’ll be a good sign for the program. Up And Down: While Will Power won the pole last week, missing on fuel strategy saw him relegated to P7 in the final standings. However, he joins Helio Castroneves, Ryan Hunter-Reay, Ryan Briscoe, Scott Dixon, James Hinchcliffe, Simon Pagenaud, and EJ Viso as just a few of the drivers that could say they had a pretty good day last Sunday. Charlie Kimball also had a nice day as the biggest gainer of the race (up to P9), and Josef Newgarden impressed with a P11 in his IZOD IndyCar Series debut. TK's promising day at St. Pete ran into power problems. On the negative side, Tony Kanaan went out early, Sebastien Bourdais saw a great run come to naught with mechanical issues, and JR Hildebrand had a good run going, only to lose fuel pressure at the very end of the race. Accompanying them in disappointment were Dario Franchitti (never a factor and finished out of the Top 10), Mike Conway (mechanical issues stopping a nice race), Takuma Sato (ditto), and Marco Andretti (qualified well, but dropped well back with handling concerns). Look for many of these drivers to have a rebound race this time out—especially Marco, for whom Barber has been one of his best tracks. Milestone Note: If Will Power wins the pole at Barber this weekend, he will move into a tie with Dario Franchitti for 9th on all-time pole positions earned; Will currently has 25 career poles. Mario Andretti is still the class of the field with 67 of them, and Helio Castroneves is the current active leader, with 36. If Power keeps up his pace, however, we could see him jump into even more rarefied air in the next few seasons, along names like Rick Mears (40), or even Bobby Unser (49). Mazda Road to Indy Update: What’s shaping up to be a rip-roaring Star Mazda season continues Friday afternoon and Sunday morning at Barber with a pair of races. Last weekend, Connor De Phillippi and Jack Hawksworth each grabbed a win, and Hawksworth has a narrow lead headed into the weekend. However, drivers such as Sage Karam, Gabby Chaves, Martin Scuncio, and Petri Suvanto could easily turn things on their ear this weekend. I’ll say it again: this Star Mazda field is loaded for talent. Whomever makes it out with the championship should be a great addition to Firestone Indy Lights next season. Speaking of Firestone Indy Lights, their turn comes around lunchtime on Sunday. We’re basically looking at the same entry list as last week, where Tristan Vautier pointedly ignored his rookie status in beating more experienced Lights drivers for the win. Esteban Guerrieri, Sebastien Saavedra, and Jorge Goncalvez will be attempting to change the outcome this week, however. Gustavo Yacaman will also look to rebound from a disappointing P6 finish. TV Coverage: We’ll be in the capable hands of the NBC Sports Network this week, which should be welcome news for most IndyCar fans after ABC really mishandled the race portion of their broadcast last week. Townsend Bell joins the crew as a pit reporter (along with Kevin Lee, Marty Snider, and Robin Miller), and Bob Jenkins, Jan Beekhuis, and Wally Dallenbach, Jr. will again be in the booth. I’m not sure how many viewers we’ll have this week, but those that do tune in are in excellent hands. Pole: No one will be surprised if Will Power wins another pole at Barber. 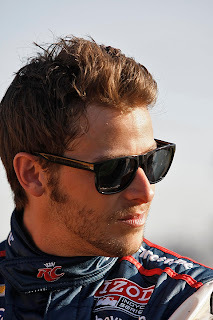 Winner: Marco Andretti. Considering his performance here the last two years, he’s due. Sleeper Pick: Simon Pagenaud. He had a very good race here last year, and has already show this year his Schmidt Hamilton Racing team will very likely give the bigger teams headaches aplenty. Broadcast Info: As stated above, NBC Sports Network takes over for this race. Don’t freak out if we see a decline in this weeks’ ratings; NBCSN has been struggling a bit since their name change from Versus, but will find their place. Qualifying will be shown on NBCSN at 4:00pm ET on Saturday, March 31. On Sunday, April 1, the all-new IndyCar 36 (featuring Tony Kanaan) will be shown at 1:30pm ET. Pre-race begins 2:00pm ET, with a green flag time of 2:45 pm ET expected. All the action will also be covered on INDYCAR Race Control. No other option polled over 5%. Have an amazing weekend, enjoy the race, and we’ll meet back here on Monday to discuss! Poll: Which Track Should IndyCar Add In 2013? Ask any IndyCar fan, and they'll be happy to tell you at least a half-dozen tracks that should be on IndyCar's dream schedule. It's right up there with discussing which driver should be in a particular ride as a favorite fan pastime. Robin Miller's article yesterday on potential additions to the 2013 IndyCar schedule elicited a lot of discussion online, as fans weighed the pros and cons from tracks ranging from Road America to Pocono. It sounds as if 19-20 races is Randy Bernard's goal for the Series next year, and that means that at least some fans will be seeing a welcome return to some of their favorite tracks. With that in mind, we'd like to hear what track you'd most like to see added to the 2013 IndyCar schedule. Simply take 30 seconds to complete this quick survey and tell us what track would be your top addition to next year's schedule.We'll release the results during our Friday race preview tomorrow. Don't forget, IndyCar Advocate is giving away 2 tickets to the Milwaukee IndyFest 225 and other cool prizes! Check it out here for more details! Win Tickets To The Milwaukee IndyFest! As a thank you to the readers of IndyCar Advocate, we’re giving away a pair of Saturday grandstand tickets for the Milwaukee IndyFest! -Send an email to mail.rpgblog(at)gmail.com with the subject line “Milwaukee Tickets!”, along with your name and email in the body. -Tweet or retweet a link to IndyCarAdvocate on Twitter, using the hashtag #indyfest. You must be following us (@indycaradvocate) to win via this method. -Like us on Facebook, and leave a comment on our page about why you want to win these tickets! Yes, if you want to triple your chances of winning, you can enter once each way, but limit one entry per person per method. Deadline for entry is Monday, April 2. The winner will be announced on Wednesday, April 4 on IndyCarAdvocate.com. Two runner-up contestants will receive an IndyCar prize pack, including some cool INDYCAR goodies and an autographed hero card of an IZOD IndyCar Series driver. Yes, this contest is open to everyone! Good luck, thanks for reading, and have a great day, INDYCAR fans! As most folks who read this site know by now, I’m a big supporter of the Mazda Road to Indy. That’s certainly not true for all INDYCAR fans, some of who maintain a polite, general disinterest in the various ladder series. I suppose there are a number of reasons for it. Certainly the TV and media coverage can be spotty, and there are few names as well known as the Andrettis, Rahals, and Powers of the IZOD IndyCar Series. It’s also true that in the past, the ladder series had a serious disconnect to the top tier in American open wheel racing. Winning in Star Mazda was no guarantee of going to Firestone Indy Lights, and winning in Lights meant little when it came to finding a ride in the IZOD IndyCar Series. With the Mazda Road to Indy being completely revitalized in the last couple of years with new TV deals and new scholarships, things are looking better. We’re seeing at record fields in USF2000, incredibly deep ones in Star Mazda, and a set progression whereby the champions of USF2000, Star Mazda, and Firestone Indy Lights can move up to the next level, along with an opportunity for the USAC National champion to do the same. Even though the “ladder” is beginning to pay off in terms of driver movement up the rungs, there remain challenges, most notably for our purposes in terms of fan understanding and acknowledgement. Unfortunately, right now, the coverage the series receive is all too often focused through the lens of a single driver, or viewed by those without a proper appreciation for what is trying to be achieved through running a ladder series. What follows is an attempt to try to clear up some of the misconceptions and illuminate some truths of what the Mazda Road to Indy experience is, and why. There are dozens of teams out there right now, competing at every level of the Mazda Road to Indy. Some are relatively well-funded, but many work their tails off just to piece together an entry for each race weekend. Many teams don’t really even have full-time employees. This is a labor of love, doing whatever they have to in order to get out there and field a driver. People like to talk about INDYCAR somehow losing the pulse of grassroots racing, but it’s still here. We’re talking about folks working out of their business or piecing together the parts just to get out there and run a car. There are haves and have-nots in every form of racing, and that absolutely holds true here. That also means there are people doing amazing things on not much more than a shoestring budget, elbow grease, and hope. So if the teams don’t always look the most polished or aren’t exactly publicity rock stars, there’s probably a reason for it. One of the biggest misconceptions thrown about in regards to Mazda Road to Indy drivers is that they’re all rich kids playing around out there. While there are some drivers who definitely have some family money behind them, there are many others who scrap very hard to put together enough to run even just one or two races. They don’t do it from some sense of entitlement, nor are there cameras right there ready to propel them to international stardom. On a basic level, they’re there because they love to race. In many instances, you’re talking about high school-age children sacrificing a lot to make this happen, week in and week out. They’re calling sponsors, working deals, trying to find a way to stay or get in a car. Take Edmonton, Canada's Stefan Rzadinski, a young driver that's being mentored in part by Paul Tracy. Perhaps you haven't heard of him, but if not, you'll wish you had. He's trying to secure funding to work through the entire season. He's taken a concept in the Powered By Alberta™ car, and is working hard to make his dream of climbing the IndyCar ladder a reality while competing in the Star Mazda Series . He's balancing real life with a sponsorship hunt, business deals, and, oh yes, improving his driving craft somewhere in that crazy mix. There's no vast family fortune to fund his effort; just his hard work, his family's sacrifice, and the help of those who both want to see a feel-good story make his dream happen, and find value in his brand. His story is compelling and a prime example of the dedication you can find in these young drivers. The upside of all this is that the talent, along with the promise of a scholarship for earning a championship, has given us a tremendous slate of drivers, both foreign and domestic. Make no mistake, every level of racing has its overhyped also-rans, and the Mazda Road to Indy is no exception, but you can find drivers with the potential to one day taken the green at Indy at every step on this ladder. In USF2000, Spencer Pigot, Matt Brabham, and Roman Lagudi are just several of the drivers that have already shown the type of skills they’ll need to climb to the next levels. In Star Mazda, Connor De Phillippi, Sage Karam, Martin Scuncio, Jack Hawksworth, and many others all can claim to have a shot at the championship. Even in Firestone Indy Lights, which has struggled with car count, Oliver Webb, Tristan Vautier, Esteban Guerrieri, and Jorge Goncalvez could all be drivers to watch going forward. I have often heard complaints from folks who feel that series such as USF2000 and Star Mazda have very few ovals among them. This is accurate; the only time USF2000 drivers will race on an oval this season, for example, is at the Night Before The 500 event in May. In Star Mazda, this goes up to two, with a race at the aforementioned 500 support event and Iowa Speedway. By the time a driver reaches Lights, they will compete in 4 oval events. There is a measured progression to this; drivers, especially young ones prone to mistakes, will tend to see both injuroes and accident bills increase on the faster ovals. The gradual buildup of ovals over the course of the Mazda Road to Indy provides an incremental learning curve for those types of tracks while maintaining a commensurate level of risk management. Additionally, some drivers are coming from a midget racing background. Running the twisty tracks prepares them for the split nature of the schedule at the higher tiers of American open wheel racing. Additionally, note the number of race weekends basically doubles between USF200 and Star Mazda, both for budgeting, in consideration of the commitment level inherent in each step on the ladder, and to introduce drivers to an increasingly regularized racing schedule. There is a rhyme and a reason to Mazda Road to Indy scheduling practices, if folks care to look. One of the biggest gripes I heard over the course this past weekend came from fans decrying the race length for both USF2000 and Star Mazda. They bemoaned the relative lack of green time, as well as the short race windows. Here’s the deal: these are junior series racing in support of other series. If you saw the track schedule for St. Petersburg this weekend, you saw very little wiggle room as USF2000, Star Mazda, Indy Lights, and the IZOD IndyCar Series (plus a couple of other racing events) vied for track time. Due to its very nature, the track time for a support series will be limited. Additionally, we are again talking about younger drivers. The races are shorter, not only for scheduling purposes, but to slowly acclimate and condition these drivers to longer and longer races. Along with the youth and relative inexperience of many of these drivers come yellow or red flags. There's no question you’re going to see it, especially with large fields such as we’re enjoying in USF2000. Honestly, it’s a part of racing, and something to deal with. Is it frustrating? Yes, but when you consider all the factors out there, it isn’t surprising. You race hard but smart when you can, learn when you don’t, and understand that it’s all part of being in a ladder series. So what does the future hold for the Mazda Road to Indy? Right now, drivers such as Tristan Vautier (last weekend’s Firestone Indy Lights winner), Sarah Fisher Hartman Racing’s Josef Newgarden (2011 Firestone Indy Lights champ), Andretti Autosport’s Sage Karam and Zach Veach, and USF2000 dynamo Spencer Pigot are all beneficiaries of the American open wheel ladder system. 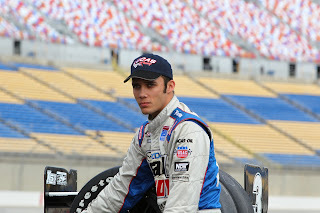 USAC champ Bryan Clauson was able to race a partial season in Lights last year, and will try to qualify for the Indy 500 this May. It seems clear that the Mazda Road to Indy is currently recruiting both excellent American and international drivers. Pigot, Karam, De Phillippi, and others represent bright spots for the USA contingent, while names such as Vautier, Brabham, Scuncio, Rzadzinski, and the Colombian-American Gabby Chaves could represent their nations at the highest levels of INDYCAR one day. Some fans have suggested parlaying another TEAM money spot into additional scholarships for the Series, potentially splitting the money between furthering the INDYCAR/USAC ties, creating partial scholarships for runners-up in each series, and strengthening current scholarships somewhat. Also worth monitoring is the size of each potential field, and ensuring no level of the ladder results in an artificial “glass ceiling” where successful championship drivers fail to progress. Right now, the biggest item to play out this year (aside from the on-track competition itself) will be seeing how the NBC Sports coverage of Firestone Indy Lights, along with USF2000 and Star Mazda’s Mazda Motorsports Hour, plays in regards to sponsors. No matter how competitive a series or how good the competition, this is still a rough market in which to garner sponsorship, and every opportunity a team or driver can point to for reaching an audience is big. Watching both the progression of the various series’ champions, as well as the car count, will be two fine indicators of health for the Mazda Road to Indy. And the health of the Mazda Road to Indy will consequently tell us quite a bit about the state of American open wheel racing. Helio Is Back: After a horrific 2011, Helio won going away Sunday for his first win in 20 starts. A couple of fans seemed mad that he punted Ed Carpenter earlier in the race, but to me, it looked like he didn't have anywhere to do when Ed didn't move to the pits quickly enough. In any case, it was a welcome win for Helio, especially in a contract year. Watching him tap the Dan Wheldon Way sign after winning was one of those special, emotionally powerful moments, and you could tell he was choked up (I admit to having something in my eye then, too). I'm sure you'll get your well-worn "Death Star" comments from a Penske driver winning, but honestly, the Penske and Ganassi drivers had to fight alongside everyone else most of the day. Engine/Tech Update: Chevy clearly won this round, though Honda at least satisfied honor grabbing P2. However, the Chevys also had some electrical issues (both Tony Kanaan and Ryan Hunter-Reay reported some issues), but all in all, there was no definitive, obvious engine grenading. Other issues seemed to revolve around the gearbox (Sato)or fuel pressure (Hildebrand/de Silvestro), so we'll see if those are sorted out by Barber. For Lotus, they've got to have some hope after Sebastien Bourdais ran well near front for a while, but it's clear they don't have the same straight-line speed as the other manufacturers right now. All in all, not a bad debut for new cars and engines. (Remember to check out our updated Engine Power Rankings as well). Staying Green: One of the happiest portions of the weekend was seeing a clean start to the race (Marco Andretti had to be as thankful as anyone), and very few on-track incidents overall. What yellows there were came about largely due to mechanical issues, and that's a change from the last couple openers we've had. ABC's Coverage: ABC did a fine job on the opening segment, introducing the drivers, mentioning the new cars, and doing well during their preview show. While that was nice to see (including the fine Dan Wheldon tribute segment), several missed passes really marred their coverage later in the race. They have a way to go to have their coverage be considered "good", but they at least seemed a little more into it than last year. Now, they need to not follow tangents away from the on-track action. (And yes, let's admit it: James Hinchcliffe wearing the wig during the intro was a highlight). Viso's Good Day: EJ Viso gets a lot of grief online, so it is only fitting and proper that we mention his good races as well. Despite needing a late splash of fuel, Viso ran a patient, largely clean race--and he did it while fighting off food poisoning. 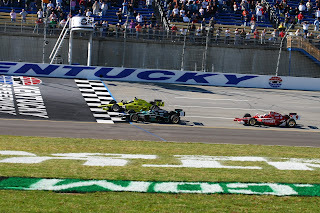 The aforementioned duel between EJ and Bourdais was also one of the better ones we saw. Now, he's got to go out and duplicate that effort next weekend. Woes For Simona: Simona de Silvestro had a great run here last season (P4), but had to drop out early with fuel pressure issues. One of the hard-luck teams in IndyCar will have to wait at least another week for their luck to turn around. Sunoco Rookie of the Year Update: Both Josef Newgarden and Simon Pagenaud had excellent debuts. Pagenaud came back from starting P16 (due to his engine change penalty), and finished a very impressive P7, after an enjoyable back-and-forth on the track with Ryan Briscoe. Josef Newgarden also acquitted himself very well, dueling Dario for part of the day while just missing out on a Top 10 finish in P11. Kat Legge was never really a factor in this one, getting out of her car for good and finishing 41 laps down. Mazda Road to Indy: Spencer Pigot swept the USF2000 races this week, with his teammate Matt Brabham finishing P2 in both events. Their team, Cape Motorsports With Wayne Taylor Racing, is simply putting on a clinic so far this year. In Star Mazda, Connor De Phillippi impressed with a win in the first race, but it was all Jack Hawksworth in the second contest. Hawksworth has a narrow 10-point lead over De Phillippi after the weekend's results, but with drivers like Gabby Chaves, Martin Scuncio, Sage Karam, and Petri Suvanto wheeling it out there as well, this is going to be a battle all season long. As always, your thoughts and observations on the race are very much welcomed. Next up, the Honda Indy Grand Prix of Alabama. It seemed to take ages, but at long last the season opener is upon us! With the IZOD IndyCar Series roaring to life at the Honda Grand Prix of St. Petersburg, it’s a new season, with new cars, new engines, and new opportunities. No other driver with 3 or more starts averaged a Top 10 finish (Scott Dixon is the closest, with an 11.7 average). Now, we obviously still need to see how the engines shake out, but if you’ve got a pool going, you’ll find several of the drivers on the above list to be smart money. New Cars, New Engines: The most obvious storyline of this weekend’s action is the new DW12 car and the Honda, Lotus, and Chevy engine competition. Expectations are for the DW12 to perform better than its predecessor, though precisely how much remains to be seen. On the engine front, aside from waiting to see what the reliability and performance results for each manufacturer, there’s also the lingering question of Lotus. They’re acknowledged as behind the curve in terms of development, but how will they fare when it counts? Will it be an all-Lotus back of the field, or do they have enough to give a respectable showing? It’s been a long road to the new cars, with a lot of criticism, a lot of nay-saying, and a lot of second-guessing. We’ll see how much of that clears up when the turbos start roaring in the heat of competition. Remembering Dan: Of course, St. Pete was Dan Wheldon’s home, and everyone will be missing him tremendously throughout this weekend. Dan will be honored during some of the functions this weekend, as befits a man who was a champion in every sense of the word. The loss remains enormous, but he left us with much to celebrate and even more of a legacy. Starting Off Right: The last two season openers have both seen very ugly starts, including multi-car incidents right off the bat. It would be good to see this year’s performance start right, and Marco Andretti not end with either a) upside-down or b) with another car on top of him. Welcoming Rubens: F1 star Rubens Barrichello will be making his INDYCAR debut with KV Racing Technology, and he should get plenty of attention—not only with his performance, but how the other drivers measure up against him. Rookie Debut: We’ve seen Simon Pagenaud in a few races last season, but this will be the first race for Josef Newgarden and Katherine Legge in the IZOD IndyCar Series. All three will be vying for Sunoco Rookie of the Year honors, so we’ll see which driver gets off to the best start. An Andretti Return(? ): James Hinchcliffe, Marco Andretti, and Ryan Hunter-Reay are now the faces of Andretti’s INDYCAR efforts. This team has been perceived as falling off a bit in recent years—could personnel changes, engine selection, and the addition of Hinchcliffe give them the chemistry they need to return to the top tier? We’re going to find out in short order. Milestone Note: Helio Castroneves is currently P14 in the all-time combined INDYCAR record book for series wins with 25, tied with Gordon Johncock. His next victory will send him into a tie with Rodger Ward for P13 in all-time wins. Mazda Road to Indy Update: The Indy Lights race will be at 3:30 pm ET this Saturday, and will be broadcast at 5 pm ET on NBC Sports. Additionally, Star Mazda will have a race at 1:00 pm ET Saturday, and one at 10:05 am ET before the main event on Sunday. Star Mazda will feature an intriguing cast of drivers, from American prospects Sage Karam and Connor De Phillippi to international talent such as Martin Scuncio, Petri Suvanto, and Jack Hawksworth. Whomever wins the championship this year will have done so against a very deep field. In Firestone Indy Lights, Esteban Guerrieri is back with Sam Schmidt's team after a long flirtation with an IZOD IndyCar Series seat. His main competition this year will be Sebastian Saavedra with Andretti Autosport, who's looking to get more seasoning with another full year in Lights. Gustavo Yacaman is hoping he'll finally get over the hump this year, while Belardi Auto Racing's Alon Day will be making history as the first Israeli driver to run in the U.S. This field is considered somewhat thin, so we'll have to see who can make their mark this year. Watch for Schmidt's Oliver Webb as a potential spoiler against more experienced Lights competition. Pole: Will Power has been on the pole the last two races here. Until he doesn’t do so, he’s still the man to beat. Winner: Tough not to go with Will Power, but Justin Wilson’s always qualified and performed well here, and I’ve got faith in a Coyne Uprising this year. I’ll be bold and take Wilson to take the checkered in a triumphant return from his broken back injury last year. Sleeper Pick: If Wilson wasn’t enough of a dark horse, look out for Mike Conway and the Foyt team. Conway normally doesn’t have good finishes at St. Pete, but his teaming with the new engineering team at Foyt could change things this season. Broadcast Info: Pre-race begins on ABC, 12:00 pm ET (3/25/12). Qualifications and practice sessions will be on INDYCAR Race Control. Have fun watching the race this weekend! We’ve waited a long time, but the wait is about to pay off. We are in for a wild ride this season—take the time to enjoy every minute of it. Green green green! (Welcome to IndyCar Advocate's week-long INDYCAR Kickoff! Each day, we'll be featuring a different big article in anticipation of this weekend's big IZOD IndyCar Series opener at St. Pete). This season, along with our Engine Power Rankings, IndyCar Advocate will be hosting an inter-blog contest called Last Driver Standing. Basically, it’s going to pit many bloggers against one another, in a no-holds-barred quest for glory. How does one win? Simple. Each race week, each participating blogger selects one driver they predict will finish in the Top 10 of that race. If your driver misses out on the Top 10, for whatever reason, you are considered eliminated from the contest. The blogger who has the longest uninterrupted streak of Top 10 finishers is the winner! And yes, they can only use each driver in the field once—and if they don’t submit a pick before the deadline (usually the Thursday/Friday before a race), they’re out of the running. If you’re following along, feel free to check out these bloggers’ sites. After all, they’re putting their reputation on the line for your amusement. Good luck to all the contestants and their drivers! There’s expectancy to some point among IZOD IndyCar Series fans that the more things change, the more they stay the same. Simply put, there’s the idea that super-teams Penske Racing and Target Chip Ganassi Racing will again be at the top of the standings. That the perceived status quo will always prevail. Of course, we quickly forget that Andretti Autosport won three races last year, Sarah Fisher’s team won at Kentucky, and that the smallest team on the grid last year won the Indianapolis 500. It’s probably not fair to call Tony Kanaan a “dark horse”, as he came close to victory several times last season while finishing a striking P5 in the overall standings. However, after nabbing 7 victories in the period between 2006 to 2008, he claimed only one win from 2009 to 2011. However, during that period, has there been any driver so continually and agonizingly close to making it happen? TK has his best friend on his team this year, a seat with a KV team that finally seems ready to finish that final step to the next level, and he’s still considered one of the best drivers to not win the Indianapolis 500. It could be a renaissance year for Kanaan, which would be welcome news indeed for the fan favorite. When Graham Rahal was born, 23 years ago, Rubens Barrichello was just starting his open wheel career in Formula Ford. John Andretti was competing in his second Indianapolis 500. Jean Alesi, who plans to run the Indy 500 this season, ran his first season in Formula One. The point is, we forget Rahal is still a young driver. It seems like Graham’s been around forever, but that’s because he made the jump to INDYCAR at such a young age. He was only 19 when he won the Streets of St. Petersburg, and it seems like we’ve been waiting for that breakout year ever since then, even when he was with a struggling Newman/Haas team, or during 2010’s dizzying carousel of driving part-time for four different teams. Graham already came within a single position twice last year of grabbing another win. Now, Rahal is going into his second year of having a Ganassi program behind him, and that can only mean good things. Some consider this a Ganassi "B" team, incapable of directly competing with their senior brothers on-track. If you grew up with siblings, you know full well that there's always comes a time where a little brother has his moment of triumph. Here’s a question: when’s the last time you felt this good about a Dale Coyne Racing effort going into the season? Well, you should feel good about it. Dale Coyne should have a good engine, he’s got Justin Wilson, and just as importantly, he’s got Bill Pappas back with the team. That’s the same engineer/driver combo that grabbed Coyne his first-ever win at Watkins Glen in 2009. We all know that Wilson is one of the best road/street drivers in the Series. The circumstances of this season should put another victory solidly in the realm of tantalizing possibility. Hinch was superb as a rookie with the now-dormant Newman/Haas effort last season, and has jumped to what seems like a very good fit for him at Andretti Autosport. All indications are that the new teammates are clicking nicely, and Andretti showed last year they can still compete and win on both ovals and street circuits alike. As for Hinch himself, 7 Top 10s and 3 separate P4 finishes as a rookie are nothing to sneeze at, and there seems to be a consensus that he’s destined for big things in INDYCAR. It would be a mistake to see Hinch for his personality and miss the driving talent that comes along with that. Yes, Takuma Sato had some horrible moments on the track last season. He also had two pole positions and eight top ten finishes. As a F1 refugee, he’ll also be quite familiar with the carbon braking the new cars offer. There are still some doubts about how robust the Rahal Letterman Lanigan Racing efforts will be overall this season, but honestly, Sato already has the tools and speed to win. He also has been exceedingly enthusiastic in regards to the DW12, and it sounds like he considers it a good fit for his style. That’s a great sign for his fans. If we see the Taku of 2011, it’s going to be quite possible he wins. If he regresses to 2010 shape, well, obviously, you can probably strike this name off the list. Schmidt Hamilton Racing’s driver was a “relief pitcher” extraordinaire last year, jumping into a seat for Dreyer and Reinbold Racing twice and HVM Racing once. There’s a reason Honda has had their eye on Pags for awhile now, and it doesn’t take much looking beyond his performance in both INDYCAR and the American Le Mans Series to see why. Pagenaud is one of the most versatile drivers in the field; in recent weeks, he’s jumped behind the wheel of a rally car in his native France, ran the 12 Hours of Sebring, and of course took part in an IndyCar test. Furthermore, he’s looked sharp doing it. In a season where a lot is going to come down to figuring things out on the fly, Pags’ adaptive nature is going to be a huge asset. He may still be technically considered a rookie when it comes to IndyCar, but watch for some lively battles up front involving the #77 car this season. Of course, the law of averages says perhaps not every driver on this list will end up in the victory circle, but don’t doubt for a moment that this is the deepest, most talented field we’ve seen in a decade and a half. The fun is in finding out who gets it done this year, and who remains a “could have won”. Agree? Disagree? Perhaps you have a dark horse of your own to submit? Comments are always welcome below! We wanted to start the 2012 IZOD IndyCar Series off right, and what better way than to get one of IndyCar’s drivers to give us a season preview? 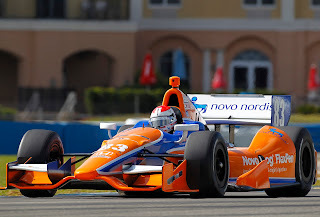 We’ve chatted briefly with Novo Nordisk Ganassi Racing’s Charlie Kimball before, but this time he’s here to discuss at length the upcoming season, the new car, challenges the drivers will face, and a sneak preview of what lies ahead at St. Pete. Charlie, I really appreciate you coming on here to talk INDYCAR. Now that you’ve had some more seat time, as a racer, what are you feelings on the DW12? CK: I’m really excited about it. It’s always neat to have a new car to develop, figure out, and explore. You know, the DW12 has really good brakes, I love the turbos—I think the they are going to be one of the highlights of competition this year, and of course, it’s been really impressive on the road and street circuits. I think you’ll see a lot of quick times throughout the year. Firestone’s done a great job developing the Firehawks, and I think when it comes to race time, 26 DW12s out there should be some great racing, and should be fun to watch. Do you think the carbon brakes are going to play a big factor this year? CK: The carbon brakes are new, and anything that’s new or takes time to figure out are going to be a factor. I think engine reliability, car reliability, figuring out temperature of the brakes, longevity of the brakes, how and when to use them, it’s all going to make a difference for sure. The Novo Nordisk Ganassi Racing crew spent most of the testing exploring the brakes and trying different things, as well as talking to people who have experience with carbon brakes, whether it’s sports cars or other open wheel racing, to get that knowledge and apply it on track. Looking at yourself at the start of last season versus the start of this one, so you feel you’ve grown in any sense as a driver? CK: I’ve definitely moved forward, for sure. Last year, I knew a lot about the racing, and I knew a lot of the tracks, but I didn’t understand how much time as an IndyCar driver would be committed away from the track, away from the race car—interviews, media commitments, autograph sessions, race strategy meetings, and briefings. There’s a lot more than goes on than just driving the car, and I wasn’t prepared for that last year. I feel like I’m going in with more open eyes this year. As far as being behind the wheel, I think we did somewhere around 400 miles of test time last year; we’ve done double that or more this year. So I think I’ve grown, gained a lot more experience, and gained a better understanding of what’s going to happen this season. And who knows? I was talking J.R. Hildebrand and James Hinchcliffe, and we were saying we don’t have to unlearn 8 years’ habit from the old car, but just settle into the new car. After climbing the ladder, we’re used to changing cars each year, so we’re used to adapting; that’s normal. Going back to some of those off-track responsibilities and obligations you mentioned, what’s it like seeing your Novo Nordisk commercial on national TV? Have you been sitting down watching TV, and all of the sudden there it is? CK: It still throws me for a loop when I’m watching TV, and during commercials, I won’t be paying attention, I’ll hear myself, and sort of have to do a double-take. It’s great to have a partner that’s activating, and doing things like national TV, and for me, it’s important to get the message about diabetes out there, but also about IndyCar. Those two things together are both very close to my heart, and my partner in Novo Nordisk produced such a quality commercial, it’s fantastic to see. (Credit: LAT Photography USA. Used with permission). Speaking of Novo Nordisk, are you digging the livery on your car? That blue-and-orange look really stands out! CK: Yeah, the paint scheme this year, with the NovoLog Orange and the Novo Nordisk Blue on there, is very striking. It’s a good use of the property of the car, and the lines of the car really accent it well. Even my pit crew, in the crew shirts, and my race suit, I think everything ties together well. I hope people across the country get to see the transporter driving to and from race tracks this year, because it’s striking as well. It’s unconventional for a race truck, and I really like that. Performance-wise, what are the goals this year? Is that something you’ve actually sat down with the team and discussed, or do you have personal goals? CK: Well, we haven’t sat down yet; we’ve been way too busy going to race tracks and testing to really sit down and develop goals. I think Chip [Ganassi] has an understanding of the direction we’re taking, and Director of Race Operations Mike Hull has an understanding and expectation as well. Our team will all sit down before we get to St. Pete, and set some goals that we have an eye on for where we’re headed. Ideally, we’ll start the season, and we’ll be qualifying within the top 15, racing in the top 10 consistently. By the middle of the year, I’d like to be in the top 10 consistently, looking for the top 8, and hopefully there’s a top 5 or two. And once you make that step, it isn’t a long reach to get to the podium. With that said, are there any races you have circled in red on the calendar this year? Any races you’re really looking forward to in particular? CK: The flip answer would be “all of them”, but in particular, St. Pete, because that’s the first one. Also, Barber, where we scored a Top 10 last year, so it’s a great place to be going back to with a bit of confidence with the results from last season to lean on. There’s Long Beach, which is special, because it’s home. Indianapolis is amazing. I’m also looking forward to Mid-Ohio, Toronto, Sonoma, and racing at Fontana to close out the season back in southern California, back within striking distance of home for family and friends. Looking at that schedule, the Series is looking at trying standing starts at some point later on in the season. Is that something you’re looking forward to? CK: I like standing starts; I did them for years racing in Europe. I enjoy what it does to the start of the race; it means qualifying is still important, but you’re starting to make up 3-4 spots with a good start and a couple other issues. I think it still means a bit of development for the anti-stall system and clutch feel before we’re there, but I know the INDYCAR technical crew will do that before we get started trying that on a race weekend. Hopefully, we’ll have a test day or two somewhere in the world to try it out when they’re all ready to go. I did my first standing start in a Formula 3 car, which is fairly difficult to do, we spent the whole day at an airport, practicing standing starts. It probably wasn’t until late in the afternoon until I felt like I got it. With a hand clutch, it’s even more difficult. Is this the deepest field you've ever been a part of? CK: It’s definitely most talented field. You look at the caliber of driver from the front through to almost all the way back, and it really is a world-class Series with a world-class field. When you do well, you feel like you’ve really earned it. It’s pretty impressive when you’re on track and you find yourself comparing time to some like Dario Franchitti, Rubens Barrichello, or Scott Dixon. Those guys are household names in racing around the world, and to be out there wheel-to-wheel, and competing with them in qualifying, it’s extra-special. So, for a preview, since we’re coming up on the season opener, what do you as the keys at the Honda Grand Prix of St. Petersburg to net a good finish there? What are some of the challenges from a driver’s side point of view that the circuit offers? CK: One of the biggest keys is going to be the braking. I don’t know that anybody completely has their arms around the carbon braking system, and St. Pete, with four heavy key braking zones, especially over the runway or down the streets where it’s reasonably rough, you’re locking up brakes and squaring off tires, by the time you get halfway through a fuel stint, your eyes are going to be rattling out of your head. So if you can get a good brake feel, and keep the tires round, then you’ll have not only good lap times, but also the ability to save fuel and work through to the end of the stint pushing really hard. We focused all winter on getting ultimate lap times out of the car, and making sure it will stay throughout the run. It’s great if you can be quick for a lap; it’s better if you can be quick through a full fuel stint. Just to wrap up, any message for the INDYCAR fans out there as the season gets underway? CK: Being a fan myself of INDYCAR racing, it’s going to be a heck of a good year. It’s going to be some incredibly close racing at some great racetracks, with the country and the world all seeing that….if I wasn’t in the car, I wouldn’t be missing a lap of it. It’s going to be a lot of fun to watch, and hopefully the fans come out and see it live, or if they can’t get there, tune in on ABC and NBC Sports. Keep supporting INDYCAR, because it really is incredibly cool. We agree wholeheartedly! Thanks again to Charlie for taking the time to talk with us and preview the season and St. Pete. Tomorrow, our big week continues with "Dark Horses: 6 Drivers Who Can Win In 2012". Finally, the IZOD IndyCar Series season is almost here. If you would have told me in October that I’d be this excited and optimistic about the upcoming season, I would have considered you crazy. But even in the wake of terrible loss, there’s hope and optimism for what will be a pivotal season for the IZOD IndyCar Series. New cars, new engines, and what looks to be the most tremendously talented field we’ve had in over a decade. We'll miss Dan Wheldon terribly, but his memory and legacy will live on in the drivers, fans, and Series he meant so much to. Along with this comes my pledge to you for this season: this site is 100% IndyCar. That means we feature stories on the IZOD IndyCar Series, Indy 500, and Mazda Road to Indy. Occasionally, we might check on the odd IndyCar alumnus or prospect in ALMS or USAC, but we are dedicated heart and soul to IndyCar. No politics in this election year (split or national), probably no F1, and definitely no NASCAR. There are sites out there that will be happy to inject those topics into their articles (and do a fine job of it), but we aren’t one of them. We deal in IndyCar, friends. Andretti Autosport won’t have Danica Patrick this year, but they do have what looks to be a very solid three-car lineup. The Chevy-aligned team won thrice last year, but struggled in qualifying at Indianapolis. They’ll be hoping that the new season sees them back in their place as a very top-tier team in the Series. Marco will look to build off last year's win. Marco Andretti once again had a number of bizarre incidents (most of which were not his fault), but he broke his winless streak in an epic duel with Tony Kanaan at Iowa. The bar will always be high for the Andretti scion, but don’t think he can’t win anywhere from Indy to Sonoma. Plus, there are few drivers more fun to watch on cold tires. James Hinchcliffe was the 2011 Sunoco Rookie of the Year, and he’s occupying the GoDaddy seat that would have belonged to Dan Wheldon in the wake of Danica Patrick’s defection to NASCAR. Hinch should do honor to Wheldon in the seat; he’s charismatic, funny, fan-friendly in the extreme, and, oh yes, he’s a pretty good driver as well. He’s part of the next wave of IndyCar stars, and it’s going to be fun to watch him progress. Ryan Hunter-Reay won the rain-soaked New Hampshire race last year, and finished the campaign strong overall (P7 in points). He’s quietly become one of the best all-around threats in the Series over the last couple of years, and is developing nicely into a reliable veteran for Andretti. Depending on how the engine battle plays out, a Top 5 points finish is not out of reach. The Indianapolis 500-winning team returns as a full-time effort this season, after spending much of last year testing the new DW12 car with their 500 driver Dan Wheldon. BHA was an inspirational story at Indy, and Wheldon will be exceedingly missed. However, this plucky team should do fine honor to his memory this season, if their Lotus engine is anything close to competitive. Alex Tagliani found himself out at Sam Schmidt Motorsports, but should be a solid presence for “Team Barracuda” and their Barracuda Networks sponsor this year. The 500 pole winner often showed pure speed last season, but couldn’t quite find victory lane. It will be the focus of the team, veteran engineer Todd Malloy, and Tag to make this team raise eyebrows once again in the season ahead. Coyne announced their drivers relatively early compared to their normal modus operandi, and managed to secure one of the Honda engine deals along the way. 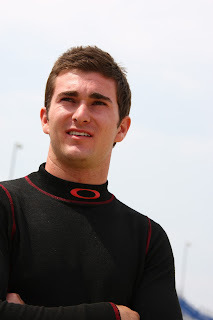 After a horrible start to 2011, the team managed to qualify one out of their two cars at Indianapolis (Alex Lloyd), and generally made a nice second-half comeback. Jakes was a virtual unknown to American open wheel fans before last season, but he did a nice job of improving in the latter half of the season, even if the result didn’t necessarily reflect that. He’ll try to avoid a sophomore slump as he returns to Coyne’s team. Wilson is back with the team he won with at Watkins Glen in 2010, and he’ll also be reunited with engineer Bill Pappas. DCR has long been considered a backmarker team, but with the Wilson/Pappas team-up, they could very easily be moving up in the world this season. Wilson is coming off a season-ending back injury, but sounds ready to go. He could rebound in a big way this year. One season after an embarrassing partial-season effort, Dragon Racing is reborn as a Lotus factory team. Further, they surprised everyone by announcing a two-car effort of Katherine Legge and former ChampCar ace Sèbastien Bourdais, who was impressive in a partial schedule with Dale Coyne last season. Still, with few details and specifics available as to their overall program, many fans are taking a wait-and-see approach to find out just what sort of Dragon emerges this year. Legge managed to secure sponsorship from TrueCar, and will be back in American open wheel racing for the first time since the 2007 season. No one is quite sure how her return after a 5-year open wheel hiatus will go, and opinions range from one end of the spectrum to the other. Until the on-track action starts, she remains one of the biggest enigmas in this field. Less of an unknown is Bourdais; the 4-time ChampCar champion had a rough start to his part-time deal with Coyne last year, but showed he could still run aggressively and well, finishing in the Top 10 in 5 of his last 6 races of the year. He’ll contest the whole season this year with the exception of Milwaukee, which interferes with Le Mans. If he feels as if he has anything left to prove, a couple of great finishes against the quality competitors this season should silence any doubts, especially since no one is quite sure what to expect from Dragon this season. Dereyer and Reinbold is coming off an immensely underwhelming season that saw the team suffer from both an engineering and injury standpoint. They’ll be starting with only one car this year, but have Jeff Britton and Yves Touron leading in engineering, with veteran Oriol Servia behind the wheel. Servia finished a sterling P4 in the overall standings with Newman/Haas Racing last year, and showed why the journeyman driver deserves to be in a stable ride full-time. The veteran will give the Lotus factory partner team everything he can out of the car. Lotus DRR will likely add another car for at least Indianapolis. After winning at Kentucky with Sarah Fisher’s crew, Carpenter announced his new team this past fall, complete with a three-year sponsor deal with Fuzzy’s Vodka. Carpenter’s known primarily as an oval assassin, and the expectation is he’ll struggle on the road/street courses, but don’t forget, he’s got Derrick Walker and engineer Michael Cannon in his corner for his Chevy-powered machine. Make no mistake, Ed came to play. He should have some rock-solid engineering and setups this season. If he can ace the ovals and pull together some solid finishes in the other races, the hometown favorite’s overall points standing shouldn’t be too shabby. On the surface, the Conway/Foyt pairing looks strange, but the early returns are sounding positive for the Honda-affiliated team. Foyt has worked on the engineering side of things this offseason, after another middle-of-the-road season with Vitor Meira left all parties dissatisfied. With Conway, A.J. and Larry Foyt are looking to take advantage of his skill on the road/street courses that make up the majority of this year’s schedule. The team has reportedly been quick in early tests. The unflappable Conway won at Long Beach last season, but failed to qualify for Indy and had a poor second half of the season. However, he did prove he could come back from the leg-shattering accident at Indianapolis that had derailed his 2010 season. When looking back on 2011, there will be plenty Simona de Silvestro wants to forget, such as the concussion that kept her from racing at Iowa, and her brutal accident and burns at Indianapolis. However, there was also her incredibly gutsy series of qualifying runs with those painful burns to make the field at Indianapolis, and races like her spirited P4 to open the season. Not to jinx her, but you have to think just about any scenario for this season will still be easier than last year. The good news: she made it through, and we’re all convinced that there’s not much the “Iron Maiden” can’t fight her way past now. If Lotus is anywhere near the mark, don’t think Simona can’t find her way to some nice finishes on the twisties this year. KV Racing is the team many are picking to infringe on Penske/Ganassi dominance this season, and they very well could be right. While E.J. Viso and Tony Kanaan were long expected to return to the team, the addition of Kanaan's close friend, F1 star Rubens Barrichello, to the team instantly heightened expectations. KV looked very fast last year, and as part of the deep field of Chevy teams, they very likely should find themselves taking the checkered flag at some point this season. E.J. Viso has long been known for his lack of consistency on the track, but he still has shown the speed to contend before. Although it could be another long season if he can't put complete races together, Viso could still be a surprise winner if he manages to simply stay out of trouble. A move into the top half of the points standings would also be a welcome development. Will Barrichello's debut live up to the hype? Rubens Barrichello is not only the longest-tenured driver in Formula 1 history, he's also one of the most affable and accessible of all F1 drivers. There's no denying his signing with KV changes the conversation immensely; he'll be paired with his lifelong buddy Kanaan, and should genuinely enjoy the open atmosphere of American open wheel racing. On track, the new car's carbon brakes will be something he's used to from his previous career, and expectations are high that he will do well. Of particular interest will be how he adapts to oval tracks, such as Indianapolis. Tony Kanaan is one of the true veterans of the sport, but showed he still had plenty in the tank last year, riding a last-minute deal with KV to an overall P5 finish in the standings. He's also a fan favorite to win the 500, after a series of memorable races there over the years. If the combination of the new car, new engine, and new teammate bear fruit as many think it might, this just might be TK's year to drink the milk at Indy. Chip Ganassi’s “other” team brought two young American drivers full-time into the series for 2011, and they’re back with an unchanged roster for the new season. IndyCar legacy Graham Rahal didn’t get his second IndyCar win, but had great runs at Sao Paolo (P2), Milwaukee (P2), and Indy (P3). In the wake of the loss of Dan Wheldon in the offseason, Rahal stepped up, organizing a massive auction to benefit his family, and more recently announced he was working on a bus trip for fans of the Milwaukee race. It seems like it’s been a maturation period for the 23 year-old driver, whom we often forget is still so young. He’ll be a big star for IndyCar, that much seems sure; it’s just a matter of when. Rahal’s teammate Kimball graduated to the IICS from Firestone Indy Lights last year, and worked through his rookie learning curve, securing two Top 10 finishes before the season is over. Kimball will have good equipment, and a higher overall points finish, a string of Top 10s, and sneaking in for a podium or two would all be good signs of development. Novo Nordisk seems happy with their sponsorship of Kimball, whom as a diabetic racer has been an ideal representative for their product. Hildebrand was a favorite for Sunoco Rookie of the Year honors last season, but narrowly lost out in a spirited battle to James Hinchcliffe. Only a single, unforgettable turn away from winning the Indy 500 as a rookie, Hildebrand had 3 other Top 10s during the year, but struggled with his overall consistency. No one doubts he can be a star in this series, though, and his sophomore progress should be fun to watch. Look for Panther to run well as usual at Indianapolis; the team now has finished second at the Greatest Spectacle in Racing for the last four years in a row. They’ll hope that Chevy power, a seasoned Hildebrand, and the luck they’ve been missing will get them over that hurdle. Penske Racing returns all three drivers from what was, overall, a disappointing year for a team long-accustomed to IndyCar dominance. Ryan Briscoe has long thought to have been "on the bubble" at Penske, as the expectation was they would revert back to a 2-car team, but Roger Penske continues to have faith in him. He finished P6 in the standings this past season, but despite a triad of podiums couldn't break into victory lane. He'll look to address that in short order this season, with all the power of Penske behind him. Helio Castroneves had probably his worst season in American open wheel ever last year, finishing out of the Top 10 in points, failing to win a race, and having a number of well-publicized on-track incidents that affected other drivers. However, he has seemed to enthusiastically take to the new DW12, and there seems to be a perception that he's more focused, enthusiastic, and ready to try to climb back up the rankings this season. Of course, Helio will always be a threat to win at Indianapolis, and we all know how much that matters to his employer. Will Power narrowly lost the championship for the second year in a row to Dario Franchitti, but was still unbelievably dominant on the road-and-street courses. He'll still be looking to improve on the ovals, but there's no reason why he shouldn't be in contention for the championship on this twisty-heavy schedule. We know Power should start the season well; let's see how he finishes it. The RLLR team returns full-time, albeit with only one full-time entry to start off with instead of the two that were projected earlier in the season. This will be their first full season in INDYCAR since 2009, and they’ll be participating as one of the Honda engine teams. With the signing of Takuma Sato, RLLR gains a driver that made big strides in 2011 after a crash-filled 2010, but still needs to show he can seal the deal in this Series. Sato won two poles last season and looked very sharp at times, but between bad luck and some unfortunate on-track incidents, his highest finish for the season was P4 at Mid-Ohio. Taku has the raw speed to win, but needs to demonstrate he also has the type of consistency needed to do so. After running Alex Tagliani and a host of part-time drivers in 2011, Sam Schmidt Motorsports has taken on Davey Hamilton as co-owner to form Schmidt Hamilton Motorsports. Long-time Honda favorite Simon Pagenaud will finally be taking on a full-time ride in the Series for the team, and he's considered a top contender for Sunoco Rookie of the Year honors. Pagenaud is pretty highly regarded, and the expectation is he'll have at least a part-time teammate at some point later in the season. Schmidt's team was on the pole at Indianapolis last year, and they should be up for some lively finishes over the course of this season. After a long offseason that saw Wink Hartman come on as a co-owner and drama over whether or not Sarah Fisher's team would secure an engine deal (they did, with Honda), SFHR should still feel pretty good about where they're at. This will be the first full-time season in the IZOD IndyCar Series for the team, and after winning at Kentucky with Ed Carpenter last season, the Little Team That Could is more a fan favorite than ever. Although there are still some questions as to how the team will do on setup this year, few doubt that their rookie driver this season, 2011 Firestone Indy Lights champ Josef Newgarden, is one of the best American prospects we've seen in recent years. He's poised and smart, and handles himself as if he's 10 years old than he really is (21). He could very possibly give Fisher fans another reason to cheer, as he's bound to have some good moments even as he goes through his Series education. What can we say about Target Chip Ganassi? We might tease Chip for his curmudgeonly nature and continued use of "backmarker" as a swear word during TV broadcasts, but no one can argue with the results of this team over the past few seasons. Scott Dixon and the Ganassi boys should be tough this year. Dario Franchitti is turning 39 in May, but the four-time IndyCar champ isn't showing any signs of slowing down. Still a master at doing what he needs to finish at the top of the standings, there are few drivers more consistent over an entire season. Franchitti seems to do his absolute best driving from the front, so if he's going to continue to streak, qualifying well will be a big part of that. Don't forget, he'll also be going for a third Indy 500 this year, which would be another tremendous accomplishment. Scott Dixon is the other part of the TCGR tandem, and has just as much of a chance as his teammate to walk away with a championship this season. He finishes only 55 points behind Franchitti enroute to third place in the championship standings last year, and secured the AJ Foyt oval trophy without winning a single oval race. Expect Dixon to get his share of glory this year, as this team continues to fight at the top tier of the sport. My blue envelope has not yet arrived. If you’re a fan of the Indy 500, chances are you know exactly what I’m talking about: that wonderful, distinct blue envelope that comes each spring, containing my tickets to the Indianapolis 500. When I get that envelope, I know that even if we suffer through a late frost instead of this unseasonable warmth, even if the wind bites late into April, even if nature continues to laughingly ply experimental weather patterns upon central Indiana, the 500 isn’t really far away. I’m known at my work and in other circles for being a 500 Fanatic; I decorate each May, run contests, and struggle to keep my work productivity above that of what a cadaver would accomplish. Coming home from the military a few years back wasn’t easy, and it was a difficult transition. But going to the 500 was something that made sense. There are times in our lives when we simply feel more alive, more in line with who we really are. For me, I feel that in moments with my family, and moments at Indianapolis Motor Speedway. People who don’t get it look at these sort of statements as falling under the crackpot variety. Well, the thing is just that: they don’t get it. They don’t know what it’s like to walk into Gasoline Alley and see your childhood heroes hanging out with fans. They don’t know what it’s like to camp out in someone’s yard across from the Speedway the night before the race, waking early in the dark hours of the morning to see the Pagoda lit up like a beacon. They don’t know what it’s like to stand on the bricks and get a shiver as you get a glimpse in your mind of names like Arnold, Shaw, and Sachs walking those same paces. They’ve never found tears in their eyes, unbidden, as Jim Nabors sings “Back Home Again In Indiana”. They’ve never sat on Pole Day morning, watching the teams prepare for a chance at glory, the strains of the Gordon Pipers somewhere in the background, with a thermos of coffee and pork tenderloin comprising the perfect unorthodox breakfast. It’s paradoxical, but until you understand, you won’t understand. Yes, it’s a sporting event. But it’s a sporting event that represents family, faith, perseverance, joy, tragedy, excitement, comfort, hope, despair, heroism, friendship, glory, and every other bit of the human condition. That’s the difference between a race and The Race, you see. Every year, every visit, no matter how many times I go, my heart still beats a little faster when I turn into the tunnel that runs underneath the track. Bottom line, I’m ready for INDYCAR, and I’m ready for the Indy 500. That blue envelope can arrive any time now. I’m waiting. I really liked the survey, yet I’m a little surprised that more fans didn’t select Mike Conway to win the road course championship. He showed how dominant he could be at last year’s Long Beach race, and everyone’s pretty high on him as a racer. I thought the Foyts made a great investment choosing him for their car this year. Don’t be surprised if he upsets some of the favorites and finishes at the top. Ah, Mike Conway. The man with the 7 bpm heart rate. I’m pretty sure you could set firecrackers off in his inner ear, and it wouldn’t phase him. That’s good news since he’s working with A.J. Foyt, isn’t it? Seriously, though, I liked the pick of Conway as Foyt Racing’s driver. That team was looking for someone who could give them a good shot on a street-and-road-heavy schedule, and Conway has shown in the past he can do just that. Don’t forget, Foyt also upgraded their engineering situation in the offseason, after seemingly lagging behind their competitors in that department for the last few seasons. Bottom line, Conway can win a couple of races this year, but I’m not quite sold on him for the road and street championship. For one, this is still a new partnership with Foyt, and there will undoubtedly be some bugs to be worked out. The top competitors for that title, such as Dario Franchitti and Will Power, have now been with their teams for a nice string of consecutive seasons. Plus, Conway has a tendency to disappear for stretches. He’ll look tremendous for a couple of races, then it seems like you don’t hear anything from him for a stretch. I think he can finish high up in the standing for the Mario Andretti Trophy, but a championship run is probably a bit much to expect for this season. If he can put together a serious string of top finishes like Franchitti or Scott Dixon have shown they’re capable of, then we can definitely revisit this one. Do people seriously think E.J. Viso will improve this year? All he’s done is make a big carbon-fibery mess year after year. If you want someone due for improvement, look towards James Hinchcliffe or Graham Rahal. I think they’ll both have big seasons. I really just don’t see it for E.J. Personally, Brad, I’ve seen both sides of it: people who think Viso can do nothing right, and those who believe that either he’s due for a breakthrough or that having Rubens Barrichello on the team will cause vast improvement. I hate to sound wishy-washy, but I guess I’ll take the middle road on this one. There’s no doubt in my mind that E.J. can win a race in the IZOD IndyCar Series. He’s been close before. However, that’s overshadowed by what’s been perceived a lack of positive on-track consistency over the years. It’s always seemed to me that E.J. is the sort of driver that can look amazing the first three-quarters of a race, then have that moment where it all goes down the tubes in the blink of an eye. While you’re right in stating Hinch or Rahal could have big seasons this year, I don’t think precludes Viso having a decent year as well. In a lot of ways, I see him in much the same light as one of his former teammates, Takuma Sato: they both have the ability to be very fast, but if they want to win, they need to put together that “complete race”. That’s a big part of what Viso has been lacking up to this point. I may be going against the grain on this, but keep in mind E.J. is still only 26; there’s time yet to turn it all around. But I also think it’s important he shows some manner of apparent improvement this year; in his first four years in IndyCar, he’s finished P18 in the final standings 3 out of the 4 years. And that's not the sort of positive consistency I mentioned earlier! (P.S. : I think "carbon-fibery" might be a new favorite word of mine. Nicely done). Thanks for the comments, and please feel free to drop me a line anytime! IndyCar Preseason Fan Survey Results! On Friday, I asked readers to take a moment and complete a preseason fan survey on how they thought the upcoming IZOD IndyCar Series season would go. The idea was to check out the prevailing wisdom among IndyCar fans, and later match that up with how the season actually plays out. We ended up with nearly 400 responses, which was a tremendous response. Sincere thanks to all of you who took time to be take part in in the survey. Here are the results below, with commentary. 1) How many different teams will win during the 2012 IZOD IndyCar Series season? This question was interesting because in the nearly 400 responses, not a single individual thought we'd see 7 or more teams win, and only a few people chose the 2-team option. 2) Which engine manufacturer will win the most races in the IZOD IndyCar Series this year? Chevy seems to have grabbed frontrunner status in a solid majority of minds by now. We'll see if Honda does anything to discourage that opinion in the first few races of the year. 3) Will Lotus win a race in the IZOD IndyCar Series this year? A bit over 50% of respondents didn't like Lotus' chances to nab a win this year, but there remains some faith among roughly a third of fans. 4) Which of these drivers will finish higher in the final points standings for the 2012 season? Comparatively slow test times for TK at Sebring compared with a good showing by Rubens hasn't seemingly done much to discourage fans from overwhelmingly going with Tony on this one. 5) How will E.J. Viso do this year? It was a mixed vote for E.J., but the good news for him is there are large numbers of fans expecting some manner of improvement out of him this year. 6) Who will be the Sunoco Rookie of the Year? The response on this was pretty cut-and-dry: Simon is a clear favorite in this category, Newgarden is lurking, and few fans seem sold on Legge's Rookie of the Year chances at this point. For the remainder of the poll questions, there were many driver options to pick; I'll be listing the six most popular responses on each. 7) Which driver will win the Indianapolis 500? Tony Kanaan may have not won the Indianapolis 500 yet, but it's apparently not because the fans don't want him to. 8) Which driver will win the the A.J. Foyt Oval Trophy? The Target Chip Ganassi drivers were extremely strong on this one, although apparently at least some fans see Helio as Penske's best hope of turning the tables on Chip's boys this year. 9) Which driver will win the Mario Andretti Road/Street Trophy? I'm not sure the top result here was really a surprise to anyone, was it? 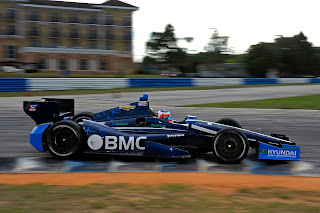 10) Which driver will be 2012 IZOD IndyCar Series Champion? It does, however, look like fans are predicting a change atop the overall standings. Just over 1 out of 10 respondents seem to think Dario will repeat as champ. One thing is for sure--as the season progresses, I can't wait to see how close to (or far off) the mark we all were. I've put together a survey here for fans to give their opinions on how the 2012 season will go, so we can review our collective wisdom as the season plays out. Click on the link to answer the questions, which ask your thoughts on engine competition, the Indy 500 winner, driver rankings, and championship questions. It's 10 questions, multiple-choice, and I'll release the results next week. Have a great weekend--we're one week closer to the season opener! Two weeks ago, I started working on 33 Days, 33 Sponsors--a pledge to write a single INDYCAR sponsor (current, lapsed, or prospective) each day through the start of the season in St. Pete. So far, it's gone very well. I've received a lot of emails and messages from folks working on their own efforts, and it's great to hear sponsors like Fuzzy's Vodka, Bowers and Wilkins, Novo Nordisk, and even Mazda respond. There are plenty more sponsors to be reached, and if you're just finding out about, there's no time like the present to start. One of the first sponsors I wrote was Meijer. Meijer has been involved in INDYCAR for some time (currently as a Penske Racing sponsor), and they're also one of my favorite "super-stores" to visit when I have to go shopping. Now, I live in a suburb of Indianapolis, so you'd think being an INDYCAR sponsor located right outside the Racing Capital of the World, their store would have some manner of IndyCar merchandise. Sadly, this has not been the case. Sure, they'll hang the banners with the Penske Racing drivers and the like, but for actual INDYCAR or IMS merchandise, there hasn't been much. For a store that stocks both Hot Wheels and Greenlight diecast, it's pretty disappointing there hasn't been as much as one toy IndyCar in the store for over a year now. So, aside from writing Meijer Corporate, I also wrote our local store's manager, explaining I was an INDYCAR fan and a loyal Meijer customer who really wanted to support INDYCAR through purchasing items at his store. I explained if nothing else, there were a number of toy models through Hot Wheels and the like he could stock, for starters. I explained INDYCAR fans were a loyal bunch, and that if he supported us, we'd support his store in return. Maybe coincidence, maybe not, but it was the first time I'd seen any sort of INDYCAR presence in the toy aisle since before the 2011 season. A baby step, yes, but hopefully it's the start of something bigger. If there's any way to make my town a veritable INDYCAR bastion, I'll do it. Thanks for helping out, and remember: you never know what action will put an effort over the top. Because Danica’s replacement as the only star in IndyCar is already in the series and his name is Rubens Barrichello. Actually, IndyCar is lucky that Rubens came along when he did because Danica left a huge, huge hole. She was the star because there were no other stars in that series. Except maybe for James Hinchcliffe, who has the makings, and Rubens, there still aren’t. I have to take exception to this, on a couple of points. In fact, perhaps all Mr. McDonald and I agree on is the fact the James Hinchcliffe has star potential (though I'd remove the word "possibly"). First, yes, Danica Patrick's presence in the IZOD IndyCar Series skewed the race coverage and media attention, we all know that. We know she will be mentioned in some gratuitous manner during at least the first ABC broadcast of the year (though I would love to be wrong about that). Although things got better when the writing was on the wall that she was leaving, all of us suffered through years of broadcasts focusing a disproportional amount on Danica, regardless of whether or not she was actually in contention. It was the way things were. When a dense forest canopy doesn't allow much sunlight to penetrate to the ground, you end up with shorter, stunted plants and trees below. It's not that these plants can't grow, it's that they've not had exposure to sunlight. You don't assume they can't grow taller, but look at their environment as a possible explanation to their current state. That's how it has been with Danica and the other drivers in the Series (and yes, I made a horticultural analogy on an IndyCar blog. Don't judge me). How can you judge a driver on what they can or can't do when they've been playing second fiddle for as long as they have? As for Rubens Barrichello dominating this year's discussion, I'm as excited as anyone for his arrival, but again, McDonald's all-encompassing love of F1 is again on display. Yes, he'll be a big part of the proceedings. Yes, he will be a major asset and heightens the level of competition (perceived and real) in the Series. But I don't think for a minute this is a Nigel Mansell Redux, as McDonald seems to suggest. Barrichello is a storied, tremendous driver, but he is not World Champion. The media dynamics of 2012 are not the same as they were in 1993, and it is unlikely that the same storylines that dominated then will be repeated. It's a different time, a different world, and a transformed Series. As I stated earlier, McDonald is correct on one point: James Hinchcliffe can be a star in this Series. But I believe the Series has learned their lesson from putting all their eggs in one basket. There simply cannot be a single star, be it Barrichello, Hinchcliffe, or anyone else. The need for multiple stars, even if they don't shine as bright as Danica once did, is paramount. That's why, along with IndyCar's re-emphasis on social media, you'll see multiple drivers from across the spectrum on NBC Sport's show INDYCAR 36. You'll see what smart, poised young American talent like Josef Newgarden and J.R. Hildebrand can do. You'll see what veteran drivers that have already built followings of their own, such as Helio Castroneves and Tony Kanaan, can do when they are again two of the more recognizable faces in the Series. You'll see legacies like Graham Rahal and Marco Andretti out front, reminding people of the history and bonds of the sport. A couple of the ladies I work with have definite "opinions" (ahem) on Ryan Hunter-Reay. And yes, Hinch and Barrichello will have their place, too--but not on a raised throne (although I wouldn't put it past Hinch as a gag). We are on Terra Incognita. Trying to apply history from 1993 to today's scenario is pointless. As the IZOD commercials like to tell us, "this is the dawning of a Brave New World". For a long time, the IZOD IndyCar Series drivers have been pushed somewhat to the background. These aren't corporate cut-out drones, mindlessly going through the motions. They're real people, with personalities, quirks, and interesting stories all their own. As Randy Bernard as fond of saying, "the storylines of our sport" must be visited and revisited. If INDYCAR and INDYCAR's partners can shine the light, some stars are there, ready to grow. The direction and star power have not yet been determined for a transformed INDYCAR. To find that out, we've got to watch this season and beyond. Mr. McDonald may be keen to abruptly crown a new star, but we've already had a monarchy. Now, let's hope for a republic.